Here it is, ladies and gents, the first in a long line of 992 derivatives that’ll eventually form a spectacularly complicated range of cars. 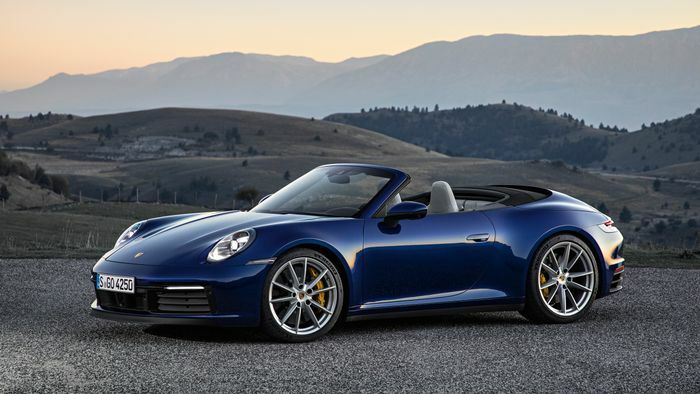 It’s the all-new Porsche 911 Cabriolet, and despite some inevitable weight gain, it’s still shockingly fast. The rear-mounted 3.0-litre twin-turbo flat-six delivers 444bhp and 391lb ft of torque, just as it does in the coupe. 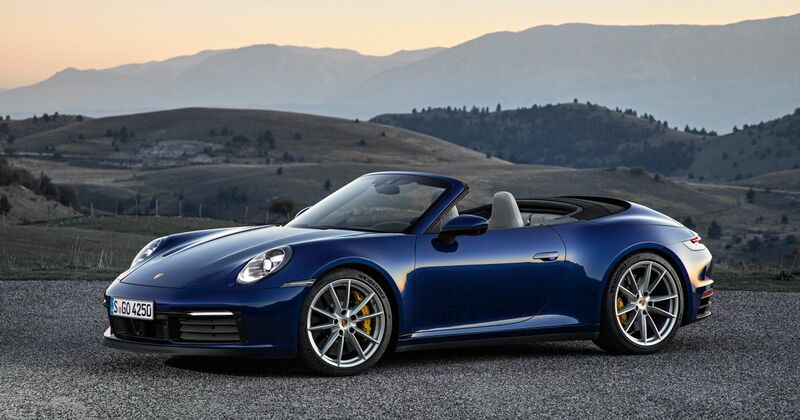 Opt for a Carrera 4S with the Sport Chrono pack, and 0-62mph is over and done with after just 3.6 seconds - a drop of 0.2sec compared to a similarly configured coupe. Even without it, the benchmark sprint is dispatched in a brisk 3.8 seconds, while the rear-drive S does the same in 3.9. All of those figures are for cars fitted with the eight-speed PDK automatic gearbox. 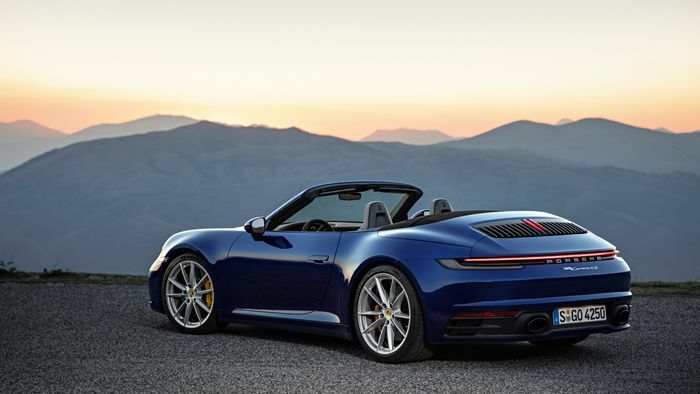 As with the coupe, that’s your only option for now - a manual will join the range later in the year, along with a base Carrera. And then a GTS. See what we mean about complicated? It’s not just quicker than the old one when it comes to performance, either: the roof operation is now faster thanks to new hydraulics. The fabric top can be raised or lowered in 12 seconds while you’re travelling anything up to 31mph, and there are magnesium ‘bows’ in the structure to stop it ballooning at speed. 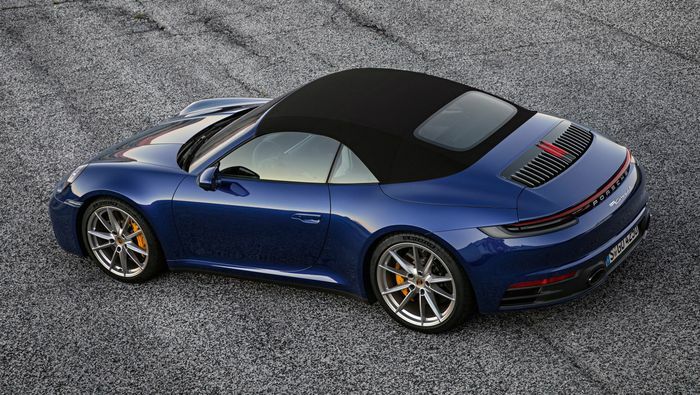 The rear of the 991 Cabriolet always looked quite substantial with the roof stowed, and we can’t help but think the 992’s looks even plumper - perhaps a side effect of the 44mm wider rear axle (the front is 45mm wider, meanwhile). This time around, there’s no narrow body option either. We’ll reserve final judgement until we see the car in the metal, but for now, let us know what you think in the comments. Disappearing ceiling aside, the Cabriolet’s interior mirrors the coupe’s. That means the 991’s gorgeous physical dials have - sadly - been dropped for a new LCD arrangement. The rev counter is still of the old-school variety, at least. The centre screen is much bigger than before, meanwhile, measuring in at 10.9 inches. 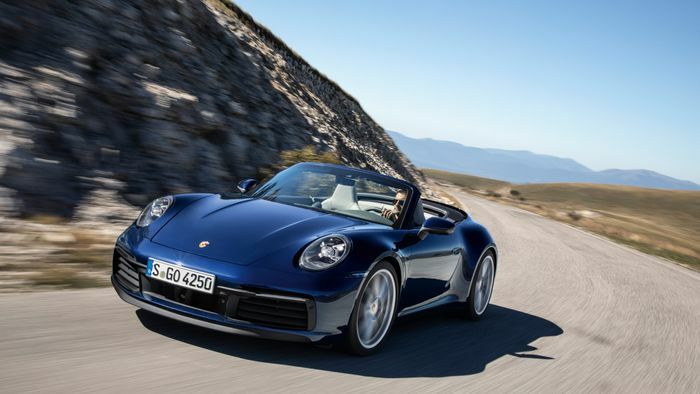 In the UK, the Carrera S Cabriolet will be priced at £102,755 before options, while the Carrera 4S Cabriolet is going to be £108,063 - each figure representing an increase of around £10,000 compared to the equivalent tin top.